A junior ranch rodeo is a rodeo where young contestants compete in teams from ranches, not as individuals as in a "regular" rodeo. While the number of members on a team can vary, four members per team is common. Age restrictions also vary, and might include two distinct age groups. Age groups are typically 12 years and under, and/or 12-15 years. 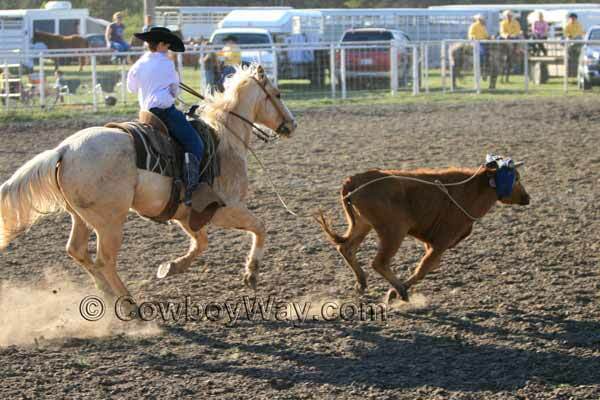 In addition to competing in teams, in junior ranch rodeo the events are different than events in other rodeos. 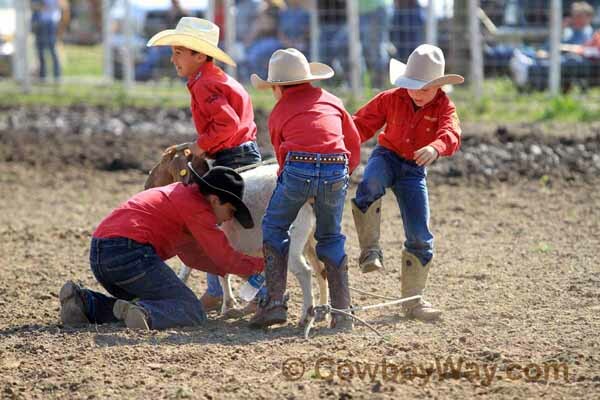 Junior ranch rodeos commonly include events such as wild nanny milking, sorting, stray gathering, calf branding, doctoring, pony bronc riding, and the wild pony race. Events, and rules for each event, are often different for each age group. Four team members work together to milk a nanny goat. This photo was taken during the calf branding event. The mounted roper (not shown in the photo) has already roped the calf, and the rope has been removed by the ground crew. Two ground crew members are holding the calf while the third one "brands" it. The branding irons are not hot, but instead are dipped in flour or chalk. 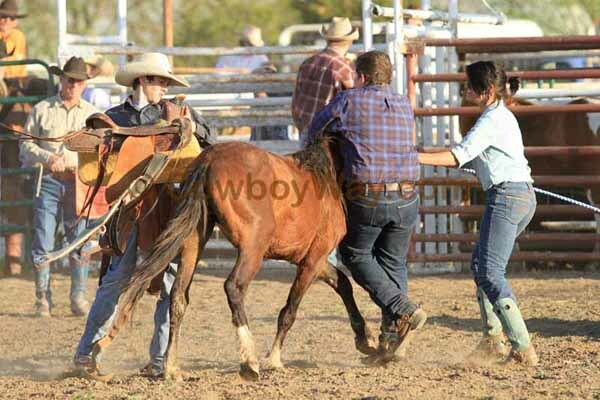 Only one member of the team competes in the pony bronc riding. The beginning of the wild pony race. In this event wild ponies are released from bucking chutes with ropes on them. 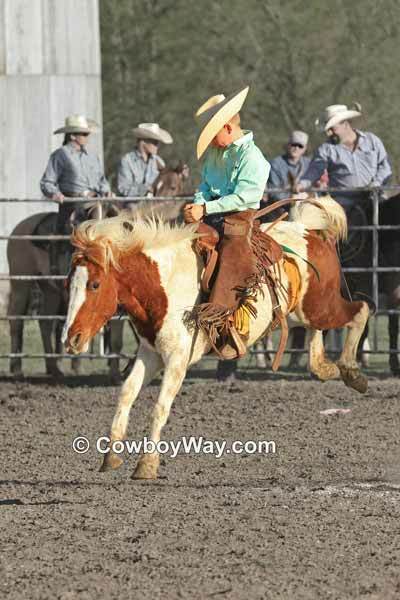 The four members of the junior ranch rodeo team must then control and saddle the pony, and one of the members must ride the wild pony.